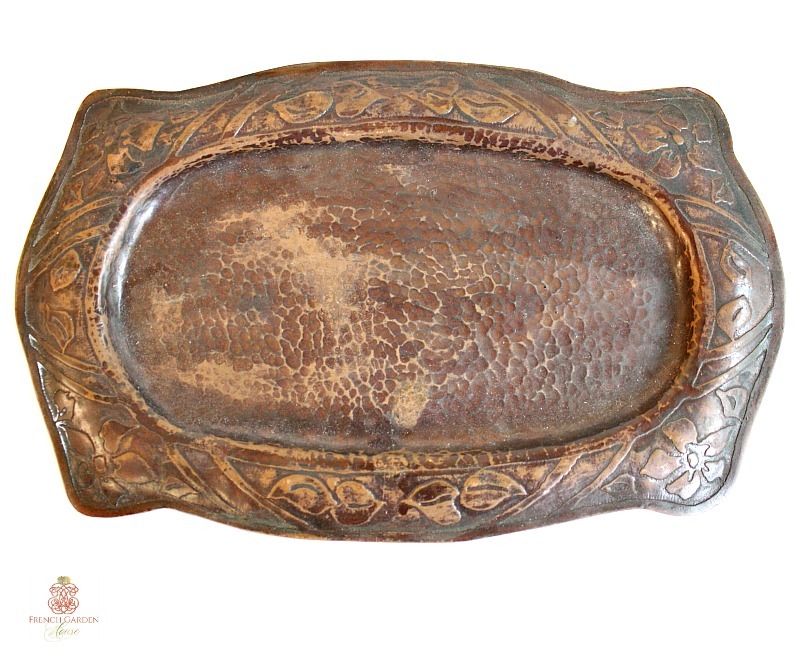 Decorative Arts & Crafts Hand Hammered Copper Pen or Desk Tray, with a stunning floral border around the formed perimeter. 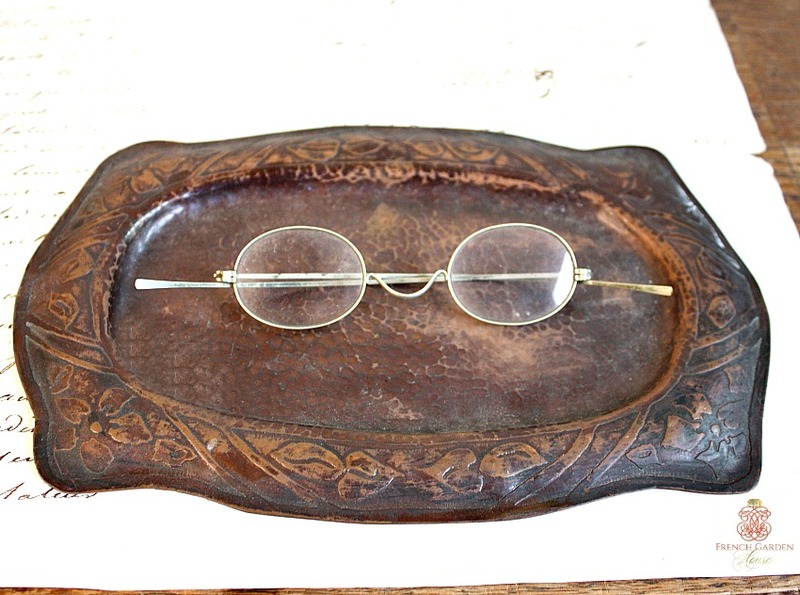 Perfect to display on your desk, with your heirloom gold pens, perhaps your grandfather's spectacles. 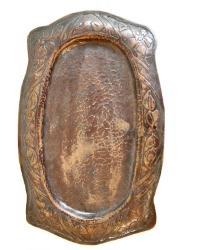 In as found condition, with plenty of patina as shown. Unmarked, a work of art to display in your Craftsman or Stickley home and to add to your collection.